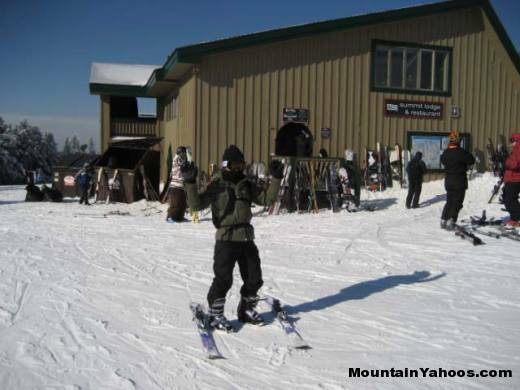 The mountain offers terrain for all skiers. 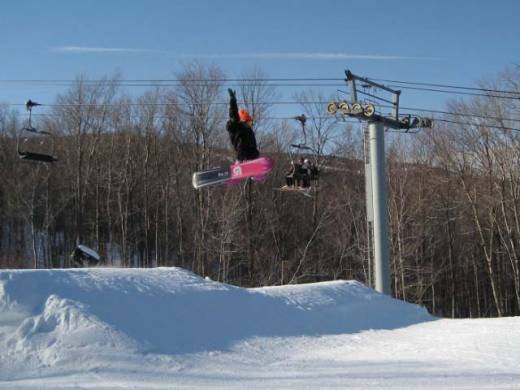 You will find a variety of ski runs in the four main areas of the mountain: Main Face, North Face, Sunbrook, and Carinthia, where Carinthia is a dedicated terrain park. The Base Area also offers many amenities, such as Child Care, Spa, Retail Shops, Dining, and night life etc. The Base Area has a "drop zone" where you can park for 15 minutes while you drop someone off. Parking is free at Lots C and D where a shuttle bus will bring you to the mountain. Preferred parking is available for $15 behind the main lodge. 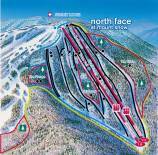 Mount Snow has 588 acres of skiing divided over 102 trails that can be accessed by 19 lifts. From the base area the Summit Express takes the skiers up 1700 vertical feet to the summit. Three of the four ski areas share the summit and terrain for most skiers (Green, Blue, and Black trails) can be accessed from the summit. 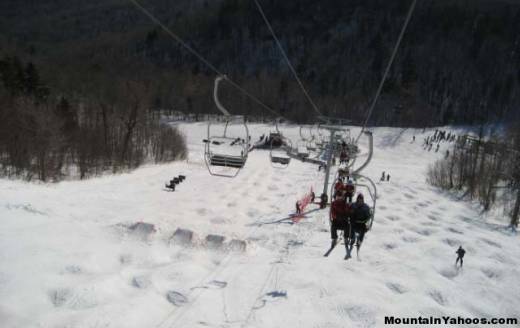 With over 251 fan guns dedicated to snow making, Mount Snow is most likely to have snow coverage when other resorts may not. 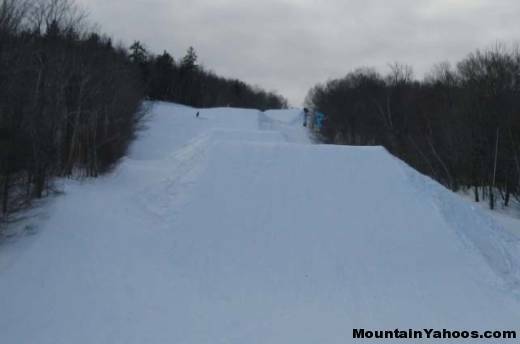 There are several good mogul runs at Mount Snow, but two of them stands out. Ripcord (North Face) is accessed from either the Summit or Challenger (lift 18). It is the longest and steepest and most difficult run. 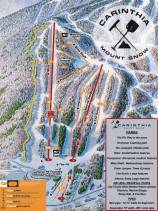 Beartrap is on the Sunbrook part of the mountain and also offers great mogul skiing. Beartrap is where the mogul competitions are held. 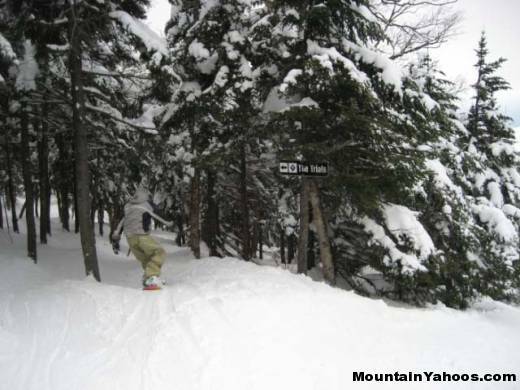 Mount Snow has almost 100 acres of Tree Terrain. "The Trials" on the North Face offers the best tree skiing at Mount Snow. Ski down the Olympic run and cut into the trees at any suitable location. "Sap Tapper" on the Main face is also a great tree run and can reached by Ego Alley (lift 12). The Main face consists mostly of nicely groomed blue trails. 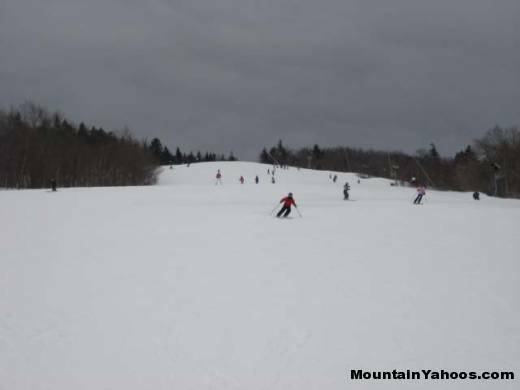 Snowdance is the widest and nicest trails suited for mostly beginners and intermediates and for the more experienced skiers who want a warm-up run. The trail can be accessed directly from Canyon Express (lift 9), or by the Summit Express (lift 11) from the base area and then ski one of several blue runs until they run into Snowdance. 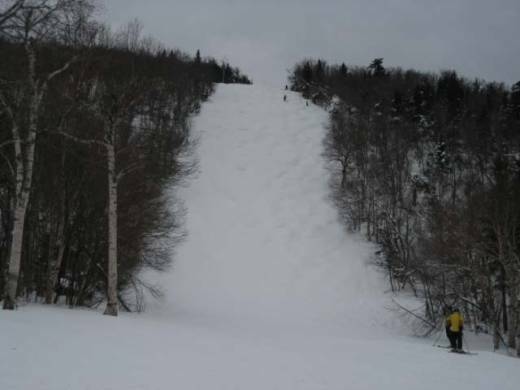 For the easiest runs from the summit, take "Long John" or "Deer Run" which lead down to the base area. 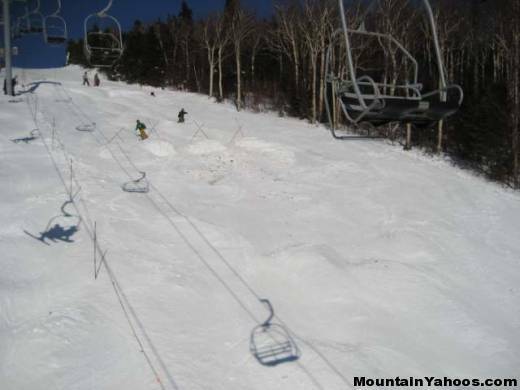 The terrain parks at Mount Snow are located at Carinthia. You can get there from Summit Express, the Nitro Express (lift 2) or Heavy Metal (lift 3). 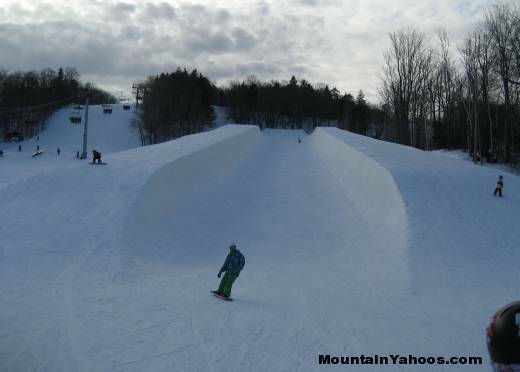 The "Mini Pipe" is a 300 foot long halfpipe with 8-foot walls for those with fear and "The Superior" is a 460 foot long with 18-foot high walls for those with no fear. 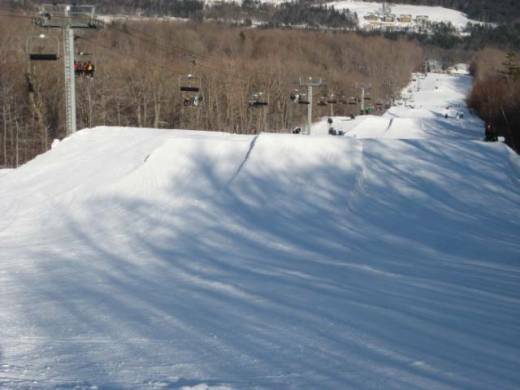 The rest of the terrain parks offers jumps and rails of every size. To practice your aerial skills, try out the "Inferno"! If this is too much for you, grab a waffle at the Waffle House and enjoy watching the experts catch some serious air. 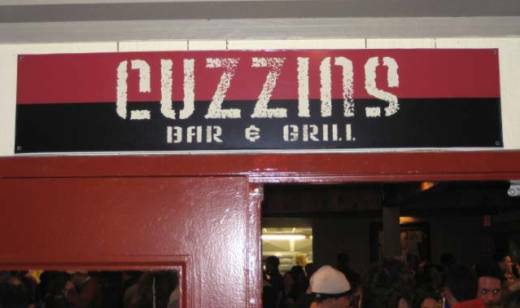 The best place for Apres Ski is Cuzzins Bar & Grill at the Base Area. 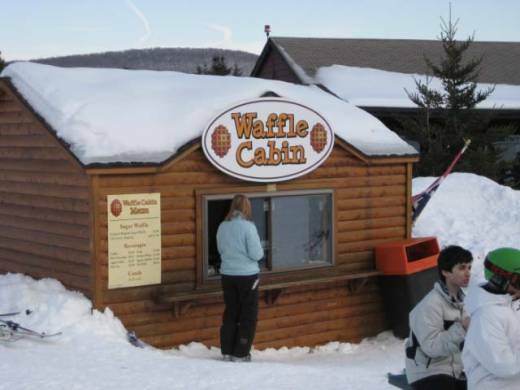 This is definitely the place to meet other skiers and have a good time. There is also live entertainment at Cuzzins. For a quieter atmosphere, check out the full service restaurant Timber House (next door to Cuzzins Bar & Grill) while enjoying a view of the mountain. The Base Area offers a good variety of dining. Harrimans's Restaurant & Bar at the Grand Summit Hotel (Base Area) offers fine dining. During the evening Jazz can also be enjoyed at Harriman's. The Deli at the Summit Lodge is a great place to grab some breakfast and lunch if you are in a hurry. The Timber House is a great place for a burger or salads. 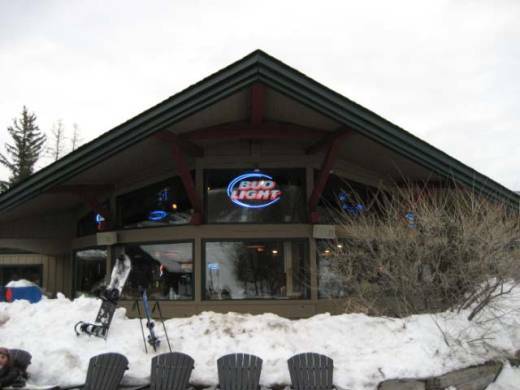 The Summit Lodge at the top of the mountain is also a great place to grab a bite and warm up and enjoy the views of the lake and valley. 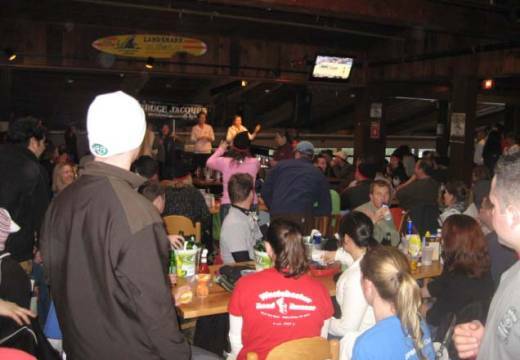 Also check out the Double Diamond Bar on the second floor of the Summit Lodge! 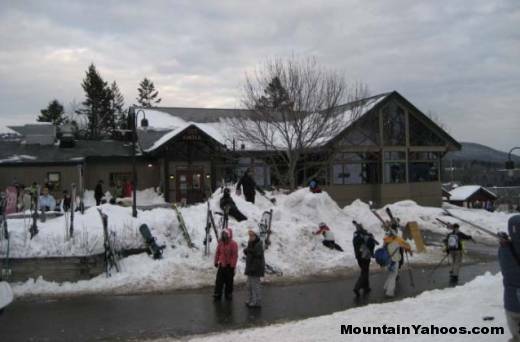 The best night life in Mount Snow is at the Snow Barn at the access road to Mount Snow (walking distance from the base area). The Snow Barn features either a band or a DJ so you can dance the night away. There are also pool tables and other games at the Snow Barn as well. The Snow Barn is the place to party at night. Shopping can be done at either of the base areas (Main and Carinthia) but the best shopping can be found at the main base lodge. 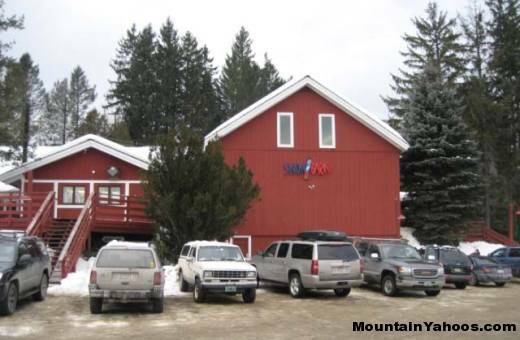 Mount Snow Sports has a good selection of ski and snowboard gear as well as souvenirs, clothing, accessories, and gifts. There are also many fine stores in the nearby Wilmington. Grand Summit Hotel offers hotel rooms, studios, and full service kitchenettes to accommodate everyone. There is also an outdoor heated pool and hot tubs. The hotel is slope side and close to all the amenities the resort has to offer. Call 800 498 0479 to make a reservation. Snow Lake Lodge is located nearby at the lakeside and has spectacular views of the. The mountain is within walking distance, but if you prefer to save your energy for the slopes there are shuttle buses that will take you to the mountain. The Snow Lake Lodge has an indoor pool and outdoor hot tubs. Call 800 498 0479 to make reservations. 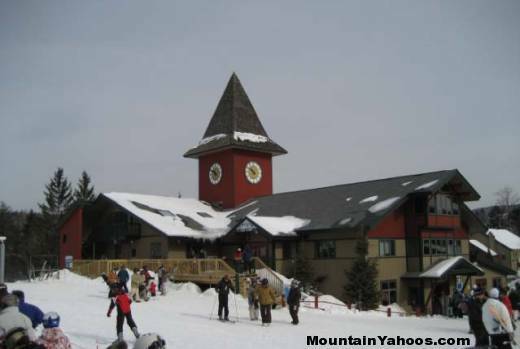 Mount Snow also offers several condominium villages at or near the base of Mount Snow. All condominiums are serviced by a free shuttle to the base area of the mountain. Call 800 498 0479 to make reservations. Take I-95 North to I-91 in New Haven, CT. Follow I-91 North to Exit #2 in Vermont. Take Route 9 West 20 miles to Wilmington, VT. Turn right at the stoplight on to Route 100 North. Nine miles to Mount Snow. For Main Entrance, turn left at second blinking light. Take Route 2 West to I-91. Follow I-91 north to Exit #2 in Vermont. Follow I-787 North to Route 7. Take Route 9 East 21 miles to Wilmington, VT. Turn left at the stoplight on to Route 100 North. Nine miles to Mount Snow. Take I-95 North to Route 146 North to the Massachusetts Turnpike. Take the Mass Pike West to I- 91 North. Take Route 15 South to I-87 (Northway) in New York. Follow I-87 South to Latham Exit 7. Take New York State Thruway (I-87) north to Albany. Take I-787 north to Troy. Follow Rt. 7 east to Bennington, VT.
From Bennington Rt. 7 East turns to Rt. 9 East. Follow Rt. 9 East 21 miles to Wilmington, VT.
Vermont Transit (802)-254-6066 and Greyhound (800)-231-2222 service to Brattleboro. Round-trip shuttles to Mount Snow are available on request. The MOOver: The MOOver is a free transportation shuttle serving the Mount Snow Valley. Painted like Holstein cows, the MOOver has over 30 stops along the Route 9/Route 100 corridor, between Wilmington and West Dover. It's perfect if you don't want to drive to Mount Snow. Just put your skis or snowboard in the racks provided on each bus and you're on your way! The MOOver is the third largest public transportation system in the state of Vermont. For scheduling info, please call the Deerfield Valley Transit Authority at 802-464-8487 or visit the MOOver web site.